Mum, Dad, Meet Sam follows the story of Josiah Abiola, the highly successful only son of two well-off Nigerian parents. Josiah travels to London for work and returns to Lagos with a white British girlfriend named Samantha Smith. Upon this return, he has to face disapproval from his mother and ex, Morenike, who do not approve of his new mate. Josiah will have to gain the acceptance of his family while navigating the cultural differences between him and Sam. Izuzu, Chidumga. “‘Mum, Dad, Meet Sam’: Watch Movie Review by Adenike Adebayo.” Pulse, Pulse.ng, 24 July 2017, www.pulse.ng/entertainment/movies/mum-dad-meet-sam-watch-movie-review-by-adenike-adebayo-id4009515.html. Kay, Andrew, and Johnny Pitts. “Film Review: Mum, Dad, Meet Sam.” Afropean: Adventures in Afro Europe, MHVH Studios, 20 Feb. 2015, afropean.com/film-review-mum-dad-meet-sam/. Onikoyi, Ayo. 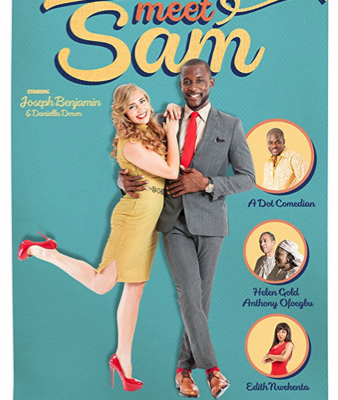 “Mum, Dad Meet Sam' Movie Records Exciting Cinema Presence.” Vanguard News, Vanguard Media Limited, 23 July 2015, www.vanguardngr.com/2015/07/mum-dad-meet-sam-movie-records-exciting-cinema-presence/.